Share the love. 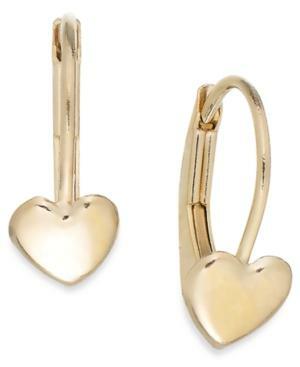 These sweet hoop earrings are set in 14k gold with affixed hearts adding a darling touch. Approximate drop: 1/2 inch.